Gender Roles – Just a Game? In HDFS 2367, we recently discussed what it means to be a man or woman in our culture… the stereotypes that persist and the messages we internalize. We talked about how those gender stereotypes inform our thoughts and actions within our families and in the world outside… impacting our recreation and job choices, our decisions about the families we create, and our assessments of our own worth as we balance work and family lives. Media images play a large role in these gender scripts. 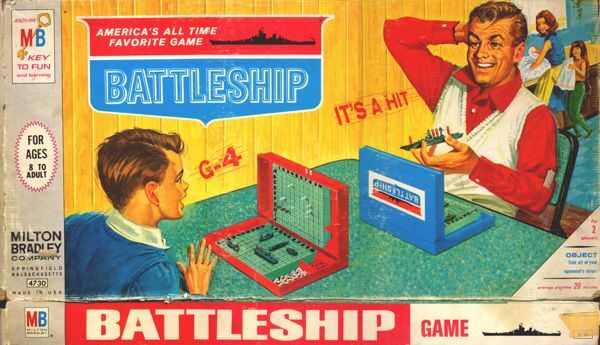 Following class, H.C. (Su-12 student) sent me this graphic of a “Battleship” game box. Judging from the clothing, I’d say this particular edition is from the sixties. Take note of who is playing, who isn’t, and what the folks who aren’t playing are doing in the background.